B&O PLAY, of Bang & Olufsen, announces the North American release of a sleek accessory collection exclusively designed by UK-based Hard Graft. 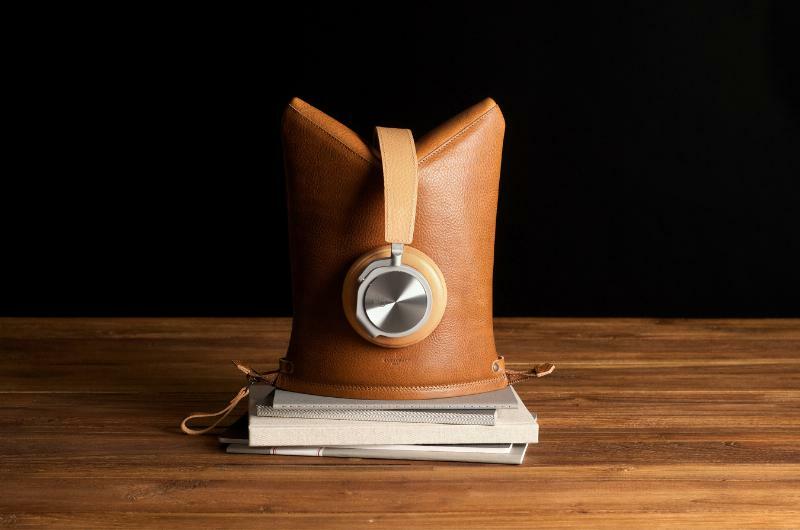 The Hard Graft accessory line-up presents a bespoke collection of three different cases to protect B&O PLAY’s award-winning, stylish over-ear headphones BeoPlay H6, sleek and lightweight Form 2i headphones, and state-of-the-art, robust earphone BeoPlay H3. The collaboration is a natural extension of both brands’ competencies in innovative design, superior craftsmanship, high quality materials and user-convenience. transforms into the headphone stand. MSRP for the Hard Graft accessory collection ranges from $49 for the Hard Graft Pinch Heritage case, $64 for Hard Graft Point Heritage, and $199 for the Hard Graft Peak Heritage or Black edition. *Beginning August 21, 2014 special bundle packages are available on BeoPlay.com when purchasing select B&O PLAY headphones and its matching Hard Graft accessory.